The affiliate programs below are programs that we run for our clients as well as programs run by people we know, like, and trust. To be notified of all our newest launches before anyone else, click here. You’ll be the first to know about all of our product launches and great affiliate programs. About the Course: No Product, No Problem is the definitive course on getting started with affiliate marketing. It is designed for beginner to intermediate platform builders who do not yet have a product but want to get started monetizing their audience. Audience: Anyone with a blog, podcast, video channel or other online platform. Commission: 40% plus some awesome bonuses. About the Program: Teachable provides a platform for entrepreneurs to build successful online teaching careers. With their easy-to-use course creation platform, Teachable empowers passionate people all over the world to share their skills, knowledge, and expertise online – and make a living doing so! Audience: Teachable works for anyone that has specialized knowledge that can be monetized. Teachable course creators range from authors and language specialists, to drone pilots and blacksmiths. Commission: 30% on the lifetime of the subscription with a 90-day cookie. About the Program: Ultimate Bundles creates high-converting sales events for online authorpreneurs. 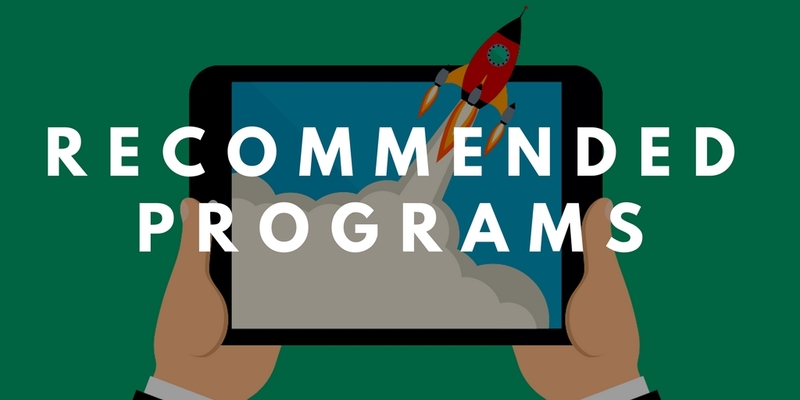 During the course of over 30 launches, they have been able to partner with and learn from some of the highest performing bloggers/authors on the web. 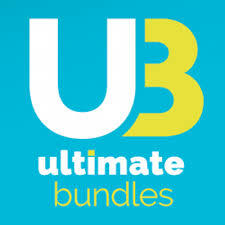 Audience: Ultimate Bundles focuses on four key niches/industries. Family. These promotions are typically focused on homemaking, parenting, and similar niches. Health. Promotions in this category have included general health, herbs & essential oils, gut healing, and fitness. Lifestyle. This category is quite diverse, including photography, DIY, crafts, travel and more. 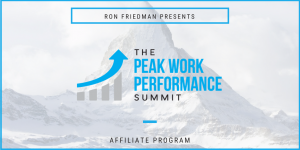 About the Program: The Peak Work Performance Summit is a collection of insightful, actionable interviews with the biggest names in the worlds of business, psychology, wellness, and productivity. Audience: The three primary topics are productivity, health, and happiness. The summit has been very well received by entrepreneurs, bloggers, business professionals, and more — ultimately this is for anyone looking to use their time more intelligently. About the Course: Course Builder’s Laboratory will teach you the fastest, most effective, and most reliable process available today for building a profitable online course while making a positive impact in people’s lives. Danny’s process is dialed in and proven. Your audience won’t spend months creating a huge, complex beast of a course. Instead, Danny will teach them how to launch their first pilot course in as little as 60-90 days – even if, right now, they aren’t 100% sure what to include in it or how to find people who’ll buy it. Audience: The ideal audience for Course Builder’s Laboratory are small business owners with 0-10 employees. More specifically, people who fall under one of two profiles: The Expert and The Professional. Commission: 30% plus some awesome prizes and bonuses. About the Course: Stage to Scale is the premier online program that shows entrepreneurs, individuals, and organizations how to use speaking to build their business. This course will help your audience understand the three key ingredients to use stages as a major customer acquisition channel (more on each of the three ingredients here). Audience: Stage to Scale is for any business or individual that is interested in using speaking on stages and public speaking to acquire new customers and grow and scale their business. This includes: Entrepreneurs, Speakers, Coaches, Consultants, Authors, Non-Profits, Service Based Business, Organizations, Experts. Commission: 40% plus some awesome prizes and bonuses. About the Course: 7-Figure Affiliate Launch (7FAL) is my exact blueprint for running a 7-figure-PLUS affiliate launch. These are the methods we’ve used to run launches for Michael Hyatt, Ray Edwards, Ziglar, Brian Tracy, and more. Audience: Online marketers and anyone with a product to sell online, who is looking for a low-risk, proven way to increase sales. About the Course: Until now, Zig Ziglar’s timeless sales wisdom has only been available via books and DVDs. In this new digital Master Class, participants will experience Zig Ziglar like never before, engaging world-class sales wisdom in a community of high-performers committed to over-the-top success. The course content will feature both Kevin Harrington (the original Shark from the hit TV show, Shark Tank) and actual footage of Zig Ziglar in action, supported by a cutting-edge digital experience and practical resources to empower participants. 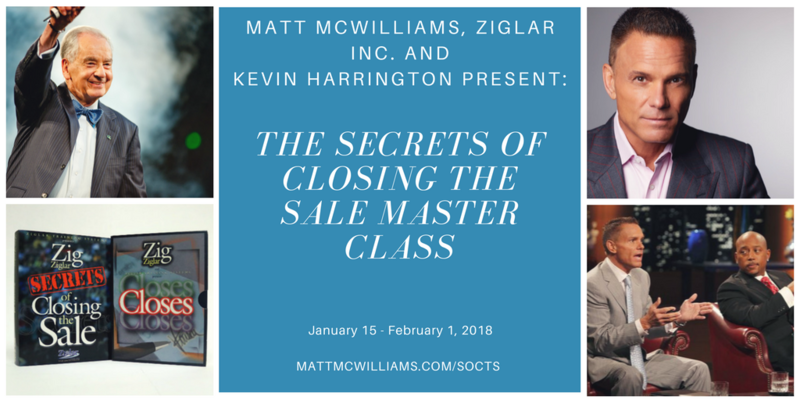 Audience: This Master Class is ideal for anyone who sells anything for a living, as well as anyone who has benefited from Zig’s sales training through the years. Potential participants include sales managers and professionals (mortgage, real-estate, automobile, pharmaceutical, insurance, etc), business owners and entrepreneurs, anyone who makes a living with digital marketing—or wants to, authors, speakers, and platform builders of all sorts or anyone who needs to build an audience. A lot of people can sell, but only the best can close—consistently. Now participants can learn how to use the secrets the masters use to close deals every day. Commission: 40% plus some awesome prizes and bonuses (You do NOT want to miss the prize for top affiliates!). About the Course: Todd Brown’s E5 method is a new and very different marketing approach that produces double-digit sales conversions. Create a surge of new buyers with any product, in any market, at any price point. Help your audience turn their prospect’s desire for a result into an intense buying desire for their product WITHOUT resorting to sleazy, scammy or “hypey” selling. Finally, it will help them stand out in the most crowded marketplace and never have their marketing ignored again! Audience: The ideal prospect for the E5 C.A.M.P. Masterclass is a small business owner or entrepreneur looking to acquire new customers. Whether they are a speaker, author, physical product, info-product, SAS or service, E5 C.A.M.P. and the E5 Method is a business and life-changing way to finally acquire the new customers they want and need day and day out! Price: $1,997 one-time or $497 per month for 5 months.